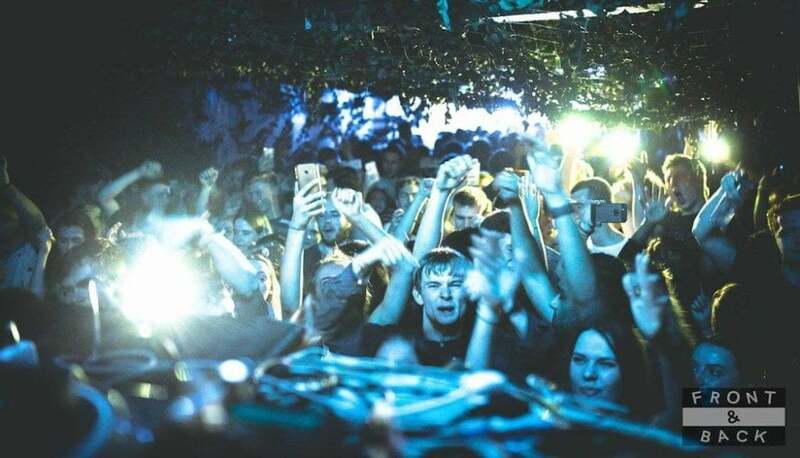 With six killer parties under their belts this year, and one more to come before Christmas, Front & Back are quickly becoming one of Sheffield’s busiest house and disco promoters. Down at their sold-out party on Friday, we found 2017 poster boy Mall Grab wowing a packed out main room, while Scottish legends Optimo played downstairs in the famous TNK basement. 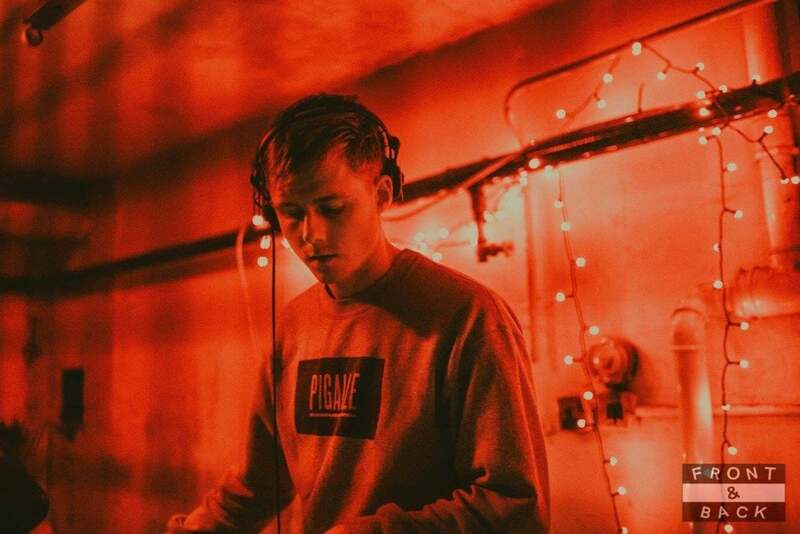 I spoke to F&B founder and resident DJ Joe Batchelor to find out what lies between the Front and Back, ahead of their party at Hope Works this Saturday with Baba Stiltz. Hey Leo, all is good – currently sorting out our line-ups for 2018! Cheers for having us! First off I want to congratulate you on an unbelievable year. You’ve booked some – or most – of the exciting DJs on the circuit right now. Dan Shake, Max Graef, Mall Grab… who’s even left to book?! Thanks very much man, it’s been a really fun year of parties with Front & Back and we’ve been lucky enough to have some great DJs play for us. Our first birthday party with Dan Shake was really special; it was a pleasure to see so many people come down to The Harley to celebrate with us. We really enjoyed having Mall Grab, Optimo and Orpheu the Wizard play our first proper warehouse event at The Night Kitchen too. That was a great night! That’s the beautiful thing about the music we’re promoting: there are always top DJs that have been around the block that need to be brought back to Sheffield, and always newcomers breaking into the scene that haven’t been to the city before! We can’t name names just yet, but we’re really excited about what we’ve got in the pipeline for next year already. There have been some exciting upcoming bookings too, like Hidden Spheres and Orpheu the Wizard. Is bringing newly-breaking DJs to Sheffield something you’re setting out to do? 100%. As well as putting on parties with more well-known DJs, we’re always looking to promote and introduce lesser-known artists that are doing a killer job away from the mainstream. We’re lucky to be living in a city where people have an open music taste and are willing to come and see DJs who they may not be familiar with. Orpheu for example has been on our radar for some time and we are big fans of his Amsterdam-based Red Light Radio (make sure you check it out!). After seeing him do his thing at Dekmantel in the summer we had to get him over to Sheffield. You’ve gone pretty leftfield with the Baba Stiltz booking too, he’s a very interesting producer and DJ. Such a cool guy! He’ll be great in a space as intimate as Little Mesters. His own productions and sets are always top quality. I must say we’re eager to see what he brings! When you announced your first few parties with Hodge, Woz b2b Troy Gunner and Paleman I had you down as UK bass guys. What changed? I think our tastes have probably changed a bit over time, and as a DJ I wanted to be able to play the kind of music I love. Over time that has drifted more and more towards the more techno and house/disco-ey end of the spectrum. Saying that, we like to be flexible in our bookings and hope to bring a range of genres to Sheffield. It’s always interesting to see how different sounds can work well together; you don’t necessarily have to book acts that play similar sets to one another on the same lineup, especially at venues with multiple rooms. That’s all down to Will (Pomona Illustration), who’s done our artwork since the beginning. It’s great to be able to work with him and see the designs he produces. The artwork is really important to us and we hope the posters turn a few heads as people walk past. That’s not a bad idea on the t-shirts! We should get some printed! I’d definitely be up for it if people were interested in having them. Front & Back’s a cracking name for a club night. Can you tell us where it came from? It’s funny you say that! The name came from one of our mates always wearing t-shirts with a print on the front and a print on the back. Kind of a lame inspiration for a club night name but we’re stuck with it now! You’ve been doing so many parties, but it really doesn’t seem like you’re in this to make money with the type of bookings you’ve been doing. What’s the aim with F&B? The aim for Front & Back is simply to put on great parties with DJs that we know will put on a killer show. We just want to keep on doing what we do and hope people keep coming and getting as much enjoyment out of it as we do. It can be a lot of work putting on the nights, but we’re always reminded of why we do it when the music comes on and we see everyone dancing and having a good time. You’ve also done parties all over Sheffield: at the Harley, Hope Works courtyard, Little Mesters, The Night Kitchen and even Golden Harvest. Do you aim to settle down at one eventually? Or is moving around something you do to help keep things fresh? As with most promoters in the city, The Harley is where we started and most likely always where we’ll put on most of our nights. It’s such a great venue where you can put on equally banging nights with big artists like Max Graef and smaller ones like LK. We all agree, however, that the space we host our nights in are in many ways as important as the acts we book, and we’re always looking out for different venues to play host to our nights. Food Hall and Record Junkee, for example, aren’t spaces we’ve ever put anything on at but definitely places we’d like to look into in the future. We’ve got a busy 2018 planned, kicking things off at The Harley on Jan 31st (save the date!). 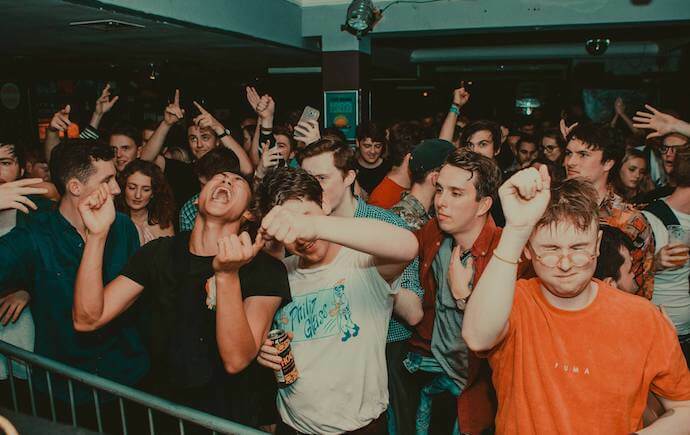 We’ve got parties at venues we’ve never hosted at before, with acts that we’ve had our eyes on for quite some time so plenty to look forward to! Cheers F&B! See you on Friday for Baba! 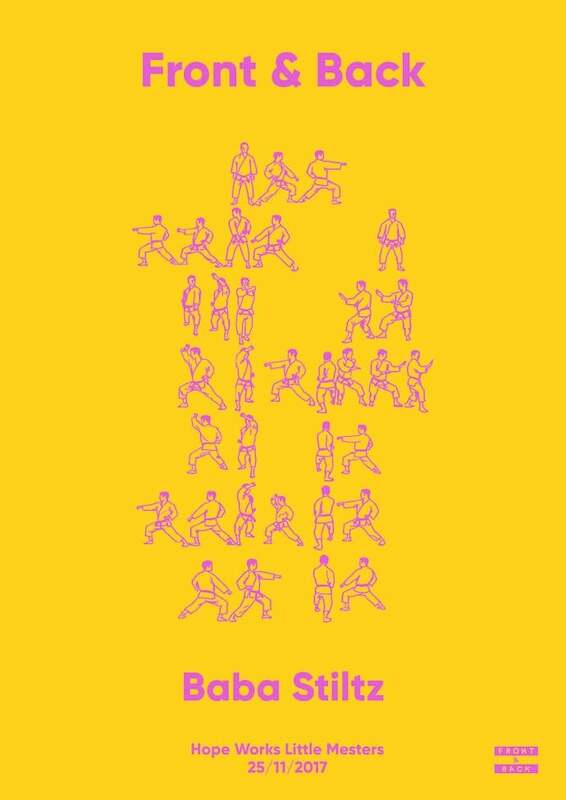 Front & Back hit Hope Works’ Little Mesters aka the Rave Cave with Aussie Baba Stiltz this Saturday. 2nd Release Tickets are available from £10 here.